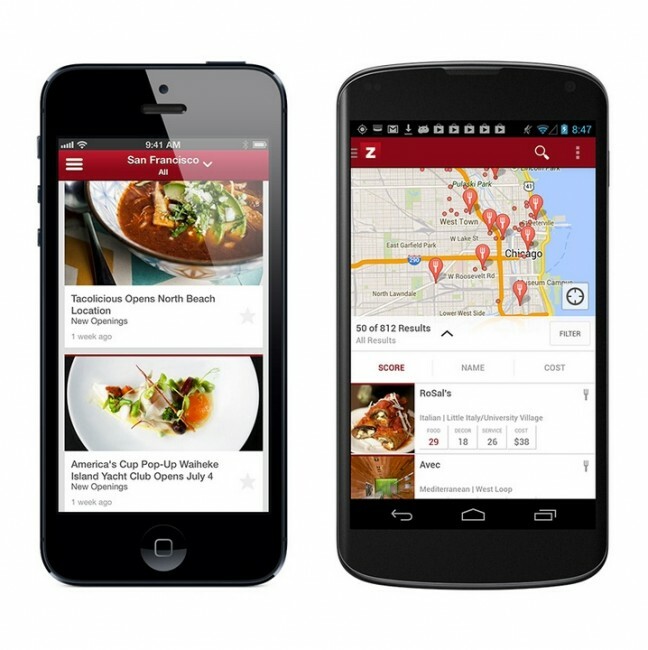 Zagat, Google’s semi-recently purchased restaurant and nightlife review service, received a brand spankin’ new website and Android app today (iOS too). The new design matches that of almost all of the recently updated Google apps, featuring a slideout navigation panel, card-style UI, integration with the new Google Maps v7.0, and buttery smooth transitions. But beyond the app overhaul, Google has made “trusted” Zagat ratings and reviews now available for free without registration. You’ll also find the latest news and video content from “expert local editors” and curated top 10-type lists. The new app and website are available now. Unfortunately, the new Zagat only covers nine cities (Austin, Boston, Chicago, London, Los Angeles, New York, Philadelphia, San Francisco, and Washington D.C.), but Google is planning to expand to 50 U.S. and international destinations over the coming months, with coverage also expanding to shopping, hotels, and other places of interest. The app really is beautiful and smooth, so if you are in one of the select cities, or plan to travel to one soon, I highly recommend you check it out. With services like Yelp becoming less trustworthy or watered down over the last few years, I’ve found myself leaning on Zagat scores much more often than ever when looking for spots to dine in new cities. Go grab the new app!